The Pangean people confront their utmost limits as the calamity in the Savage Lands hits its critical apex. Corporate oil has seeped throughout the jungle and children perish from foreign remedies. Now two battles erupt that will ultimately decide the fate of Pangea. One man stands alone in the austere chambers of the United Nations, while one nation must finally rise against the threat from within. 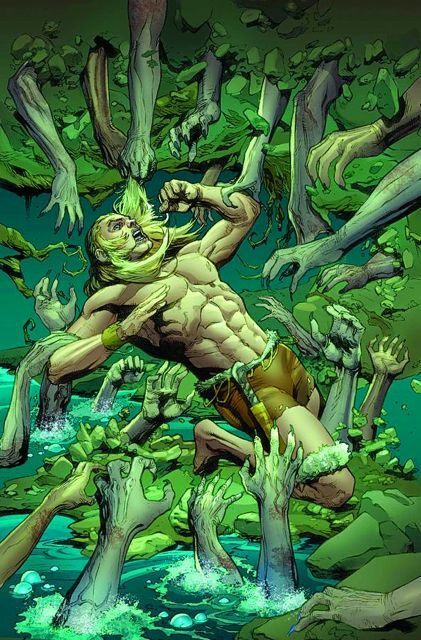 Amidst the bloodshed, can Ka-Zar protect the integrity of the land and people he swore to? Or will exploitation and internal strife ensure the destruction of his beloved home?